Instead of staying in a lush hotel, save money while vacationing by taking advantage of the many vacation apartment rentals in Bangalore. The city is the third largest in India, located on the Deccan Plateau. The city is the capital of Karnataka, a southern Indian state. Around the world, the city is called the “Silicon Valley of India.” This is because there are many tech companies located there. When you rent a room, you can choose the type of room and how many you need. Room rates are per night, and there is a wide range of rooms available in Bangalore. The apartments might sleep one to three or more people per room. If you are traveling alone, a private room is the best choice. However, you can save money by splitting the cost with other people. In addition, you can choose from just a room for rent or a whole apartment. The rooms range from standard to luxury apartments. Standard rooms contain a small bed, usually, and offer very few amenities. Luxury rooms usually contain a LCD TV, air conditioning, Wi-Fi, a full kitchen or kitchenette, room service, parking, and travel arrangements. Many luxury apartments also offer several rooms and more space in the apartment. The cost depends on the size of the apartment, accommodations, location, number of rooms, and the amenities. The cost can range to well over 10,000 INR per night. Vacationers should expect to pay a deposit when reserving an apartment, as well as cleaning fees after the rental period. Most apartments allow patrons to spend one to twenty nights in any one room. When renting a vacation apartment, guests will have a list of rules to follow. These rules might be set by the homeowner, but are sometimes set by the building. Remember that staying at an apartment is no different from staying at a hotel. Rules have to be followed, there are check in and out times, and you must leave the room clean or else you will end up with a charge. Choosing an apartment is not hard. First, you should decide what sights you plan to see in Bangalore. There are many great pubs and an active, but underground, rock scene in the city. Many international bands stop to play there. In addition, there are many different festivals to attend. After you create a plan of what to see, start looking for a room to rent nearby. Having your rental close to the events you plan to attend will keep you from spending all of your vacation in a taxi. When looking at apartments, make sure they are verified on the website you use for the booking. Make note of any amenities and any additional options you need to consider. You want to find an apartment that offers everything you need to make your vacation a great one. Make sure you are aware of any additional fees an apartment building adds onto the room rate and of any fees that could occur after your vacation. Splitting the costs with another vacationer is often the best way to save when going on vacation to Bangalore. 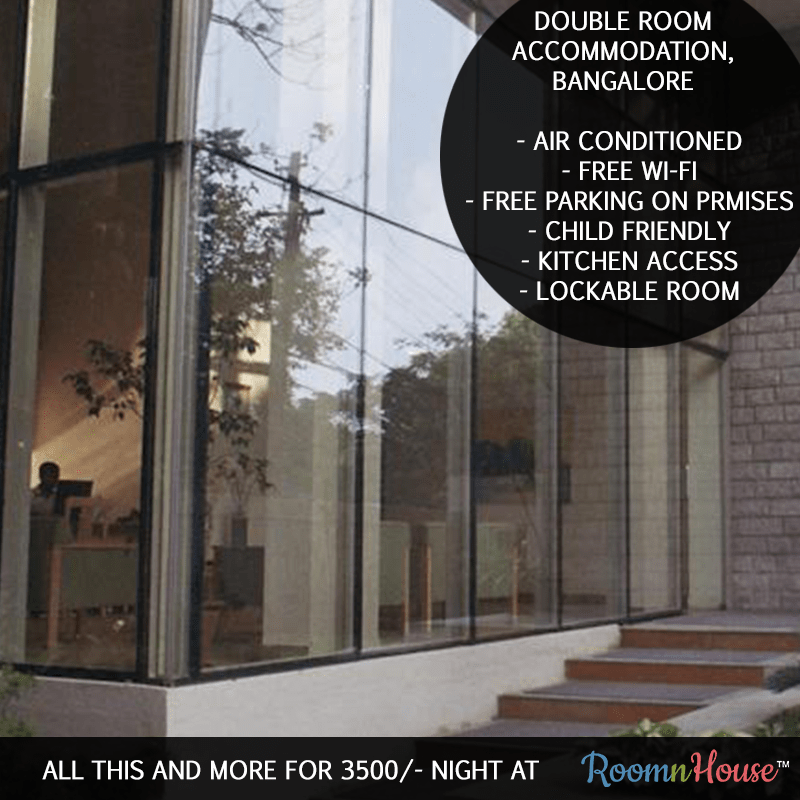 For more information about renting a room in Bangalore, contact us at Room n House.